I don’t understand where you are coming from Paul. 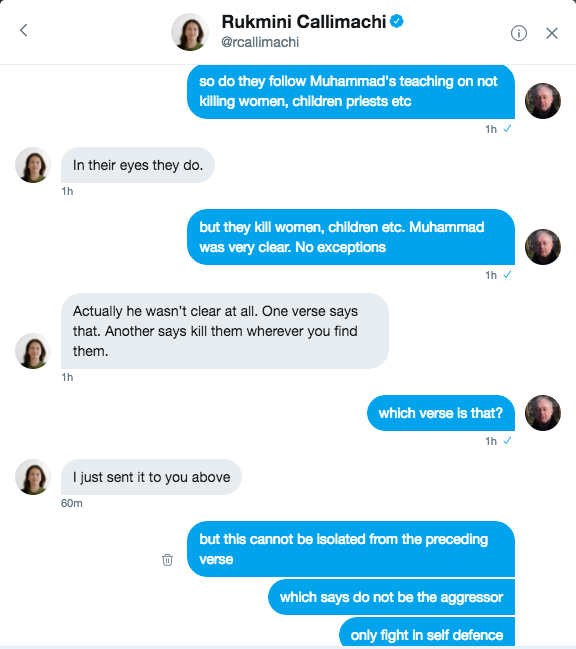 Do you deny that specific verses of the Quran advocate killing – even as others advocate peace (a problem that exists in all scripture, including the Bible). 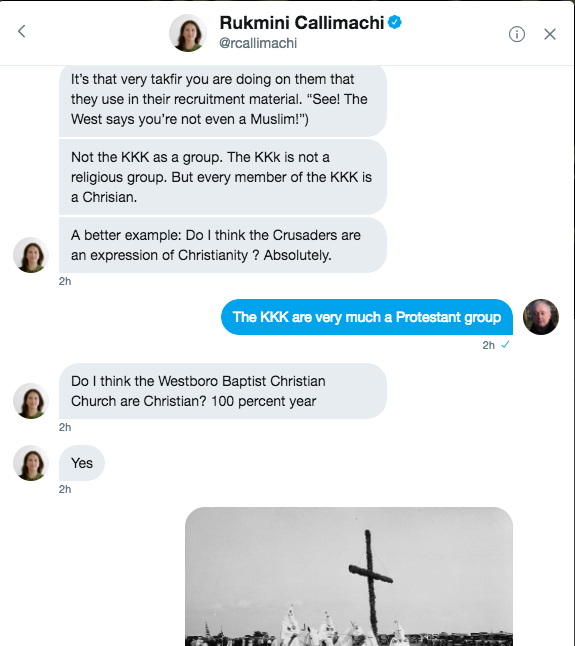 As you can read below there followed a very robust exchange ranging from the ISIS’s take on the Quran, the Ku Klux Klan, postmodern interpretations of scripture, and the teaching of the classical Islamic tradition on the limits of war. 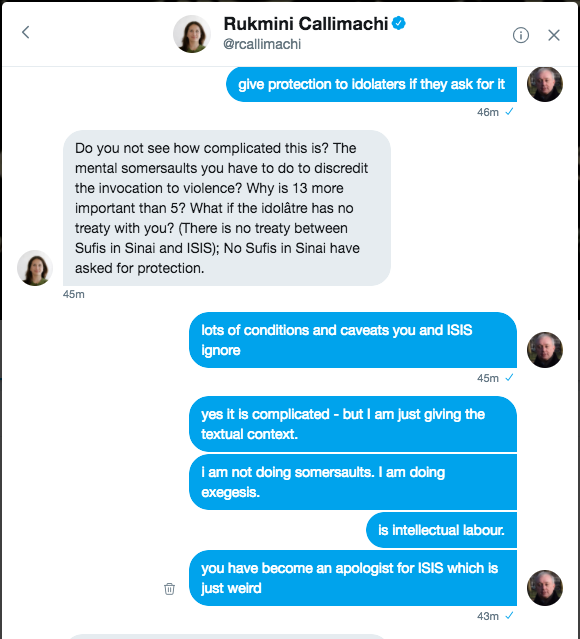 She holds the weird view (for such a distinguished journalist) that normative Islamic teaching and ISIS propaganda are equally valid interpretations of the Qur’an and sunnah. 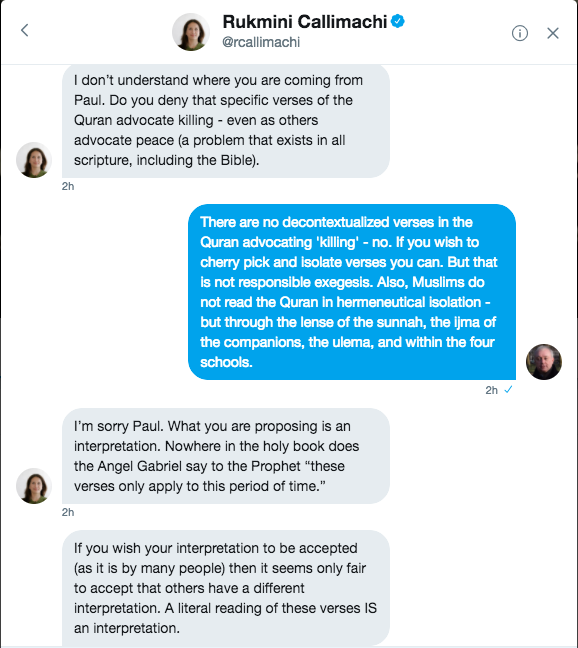 She can only sustain this by combining a deliberately skewed reading of the Qur’an with an ideological insistence on all-interpretations-are-valid-no-matter-how-wacky line. Needless to say I was not very impressed. I remember when brother Paul was discussing a similar issue in a dawah video concerning “Islamic terrorism”. 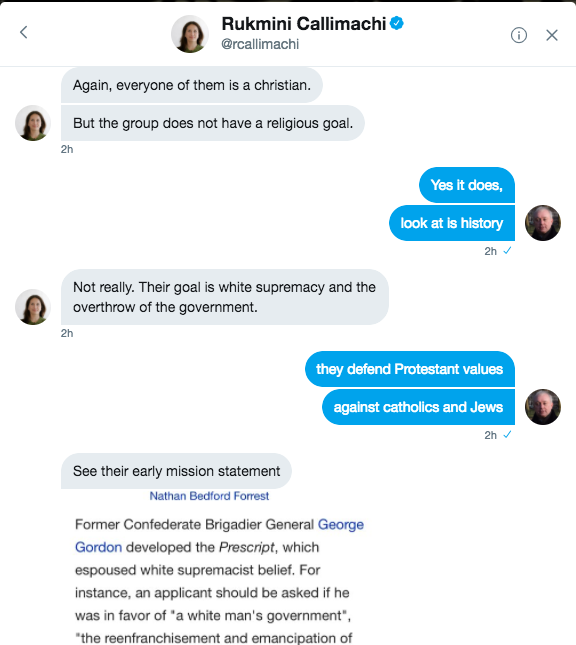 Paul brought up the issue of “Christian terrorism” by referencing the Lord’s Resistance Army. My initial impression was that this was not a good analogy to mainstream Christians that I am familiar with because they have some pagan syncretism. Well, the Lord’s Resistance Army regards themselves as Christian, too. However, the comparison between ISIS and the Lord’s Resistance Army is excellent, precisely because of the dissimilarity between them and mainstream Christians, while ISIS can also be regarded as a deviant form of Islam. I also recalled a debate that I had a few years ago with liberal Christian who said that ISIS wasn’t Islam because Islam is a “religion of peace”. 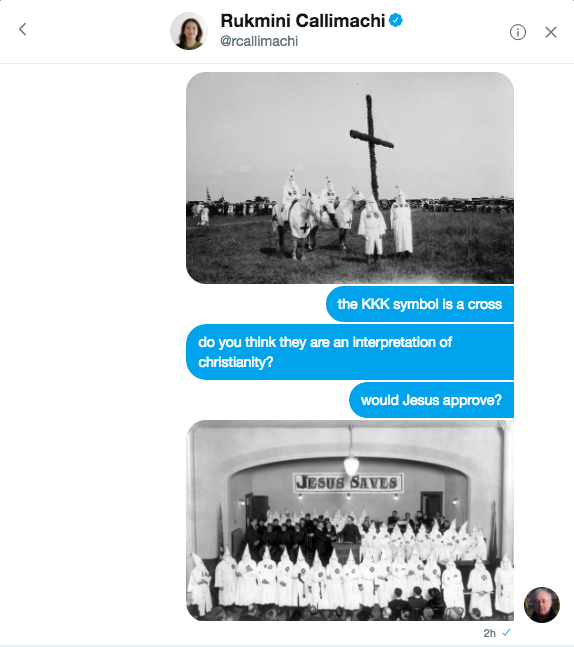 I said that it was “Islamic” because they proclaim at least some its rudimentary doctrine and try to project some image of Islamic legitimacy. My position was motivated by a position of metaphysical nominalism that there was no such thing as a “true Islam” and that Islamic practices are just what Muslims say that what Islam is. (I will return to the latter part, but I would still retain that view since it is a simple empirical means of understanding Islam from the perspective of one who isn’t a Muslim.) This metaphysical nominalism abstract entities such as a “pure Islam” divorced from the practices of self-proclaimed Muslims, but defines it using well-accepted secular standards for defining Islam and a Muslim (such as someone who says the shahada with an impression of sincerity). 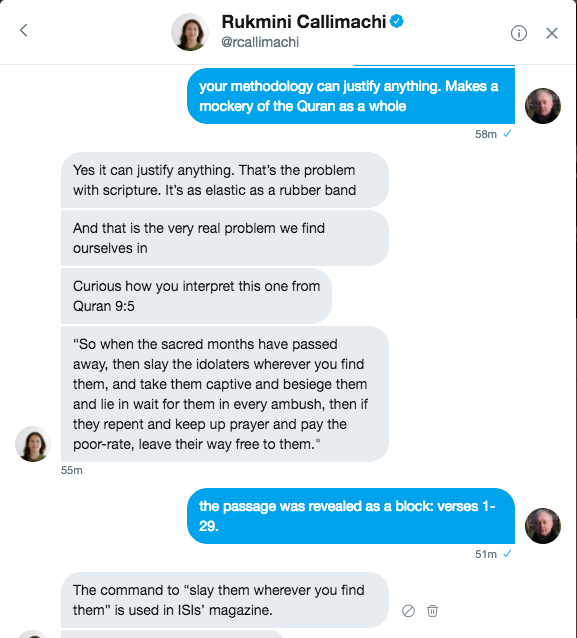 This philosophical approach is problematic concerning sects such as the Ahmadiyaa and Alawites, but it tends to define them as Muslim, although with qualifier that they are unorthodox and heretical (such as Mormons or Dale Tuggy with respect to Christianity). I would still agree with my former self that ISIS is at least superficially “Islamic” largely because I still retain my nominalistic philosophic commitments. I said that I return to the notion that “Islamic practices are just what Muslims say that what Islam is”. Now, one could analyze this with how historical Islamic states and the ulama conducted the state policies and interpreted the Quran and the hadith. This is simply no precedent to support what ISIS is currently doing (with one major exception in one locale, which I mention later). I have done some research about the rudimentary aspects of fiqh and aqeeda, and I could say that concerning this Islamic body of knowledge that I have engaged, none of it concerns justifying terrorism or subverting foreign cultures (such as Western Europe or the United States). It seems that the “Islamic thought” that justifies unqualified enmity towards the West. hatred towards Westerners, and militant radicalization is derived from the ideology of Sayyid Qutb and Abdullah Azzam. Legitimate grievances against Western foreign policy, subjugation of the Middle East to Western imperialism, and demagogic promoters can make this ideology appeal for certain Muslims. However, this strain of thought is divorced from classic Sunni orthodoxy, and one could understand the deen and be pious without adhering to that pathological strain. I have an interest in geopolitics in general, and I would say that my understanding of Islam provides practically no insights into the phenomenon of the current strife in the Middle East. That could be best understood by appreciating the dynamics of modern nation states, the foreign policy of the relevant regional powers and superpower, and the historical grievances of the Middle Easterners. I would say that some aspects of fiqh are “underdetermined” by the Quran and hadith. It is this underdetermination leads to a diversity of opinions on a wide array of topics among Muslims. 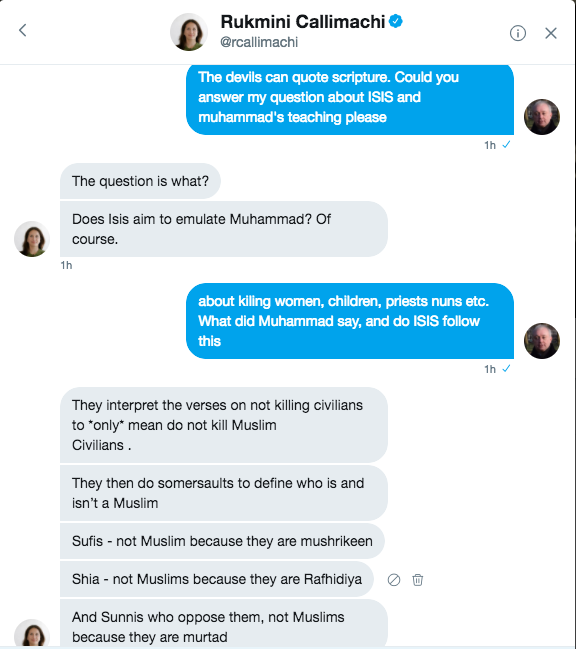 However, to reiterate, there is no historical precedent or reasonable reading of the hadith and Quran that supports the modus operandi of ISIS. 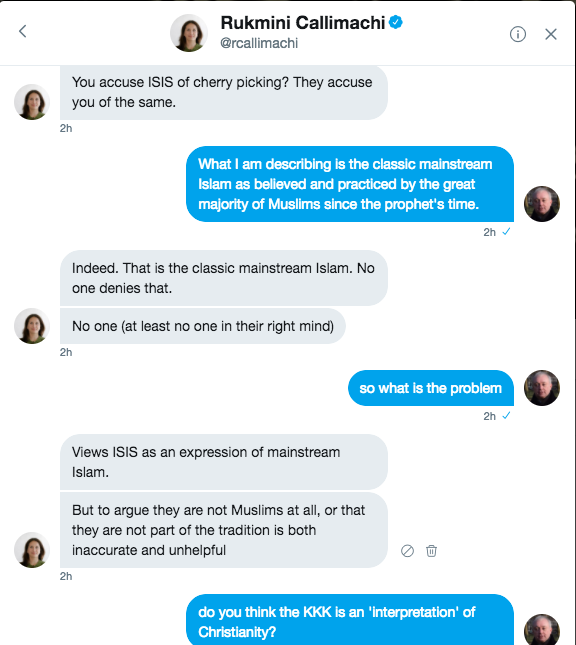 I would concur with Paul that Ms. Callimachi is effectively an ISIS apologist because she is giving the ideological legitimacy that ISIS wants: the claim that ISIS ideology and practice can be regarded as “Islamic”. She was quoting a verse and then neglecting the verse right before it or a few verses after it and then assuming the use of those other verses as sommersaults. How silly of her. I think it would be nice to quote something from her article in the New York Times out of context from the sentences before and after and see how she feels. She should stop being naive about how ISIS distorts the Qur’an when it is read without cherry picking. She is wrong that others are cherry picking. No, when reading the Qur’an with verses in context, it is obvious that ISIS is against the Qur’an. She should try to not to hide who is doing the most killing the past 20 years…the Pentagon. For joel it’s opposite day EVERY DAY. Jesus love you kid. Now go back to sleep. He is the clown that brightens our day. Bless. How about ‘canonizing’ him into our ‘Bible of BT clowns’? He sure will make a fine specimen and could even run for the office Pope. Paulus will then be our ‘il carmelegno’. What say you Brother Paul? I nominate him as he Patron Saint of Clowns. I just love the deception of that woman. When she quotes Q 2:191 she says it is explicit. 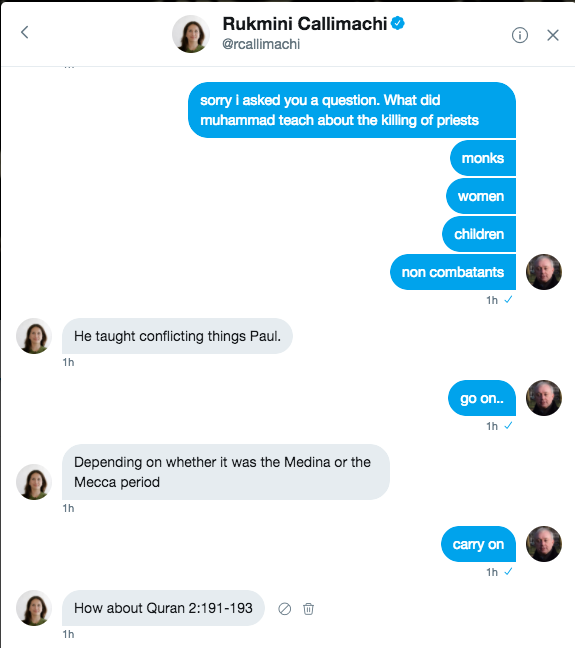 Then when you give her Q 2:190 she calls it ‘vague’ and accuses Br Paul of mental gymnastics. Dear Lord these people have no shame at all, do they? And always repeating ‘it’s an interpretation’ as if that holds ANY value. My view of what she says is that she is vile and wicked and I justify it by saying ‘it is an interpretation’. I doubt she would agree with that. She then has the nerve to say that Q 2:190 could mean ‘kill those who just oppose your view’. Can she give ONE source that says verse 190 says exactly that? that according to her ‘could mean’ kill/make war on those that oppose your views. So the first word ‘fight’ = kill/make war and the second word ‘fight’ = oppose your views. Wow. 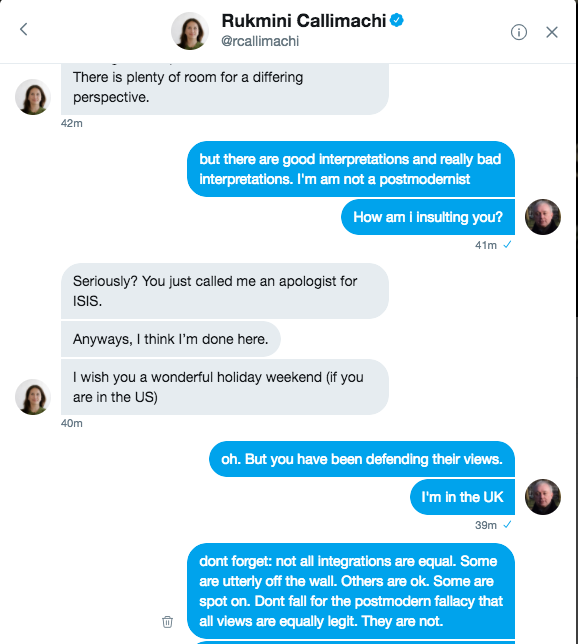 The lengths she goes to justify what she said to be a valid interpretation and then accuse Br Paul of using mental gymnastics is just mind boggling. This is the most ridiculous thing I’ve ever heard someone come up with to justify an ‘interpretation’ being valid. Even the Christians that come here to troll don’t go that low (but then again, they are full of surprises so…). Q 2:196 [Fighting in] the sacred month is for [aggression committed in] the sacred month, and for [all] violations is legal retribution. So whoever has assaulted you, then assault him IN THE SAME WAY that he has assaulted you. And fear Allah and know that Allah is with those who fear Him. The above verse says to fight back in the same way. If we take her interpretation it already fails big time cus you fight back in the same way (ie. you don’t kill/make war with those that oppose your views cus that’s clearly not ‘the same way’). Further more it sounds ridiculous as well. So if the other side oppose your views then your ordered to oppose there views? It’s Q 2:194 not 196.
isis is product of david horowitz. There are no verses in the Qurʾān “advocating” killing (qatl), there are verses in the Qurʾān that command fighting (qitāl) in specific situations and conditions: “Fight in the way of God against those who fight but don’t transgress, God does not love aggressors” 2:190. We don’t care about other scripture, why are you making sweeping generalizations and then applying them to the Qurʾān? She’s part of the propaganda machine. 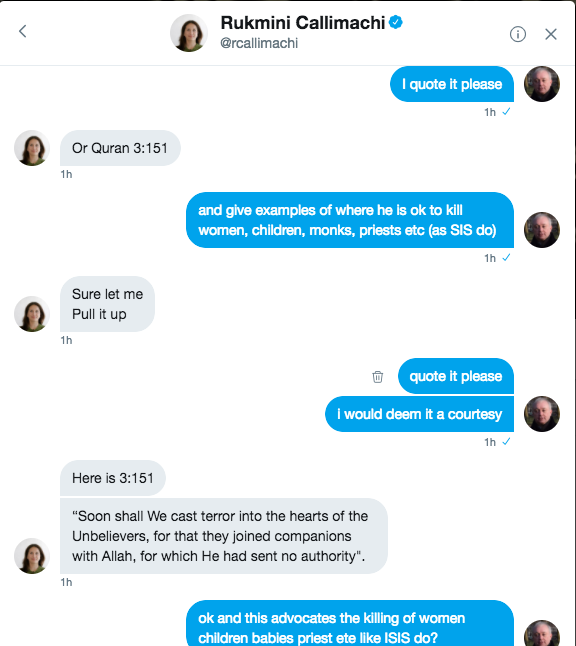 There must be an amazing amount of ugliness in her heart to approach you with those tired talking points and try to get you to say Islam breeds terrorism. I was amazed by her seemingly invincible ignorance. The facts just don’t matter to her. I also find it disturbing that such an incredibly influential newspaper as the New York Times gives her a position to influence the minds of millions. It no longer shocks me, just look at the yesterday issue of the Bezos Washington Post and their repeating the lies that “Islamic extremists” attacked the mosque because they hate Sufism. 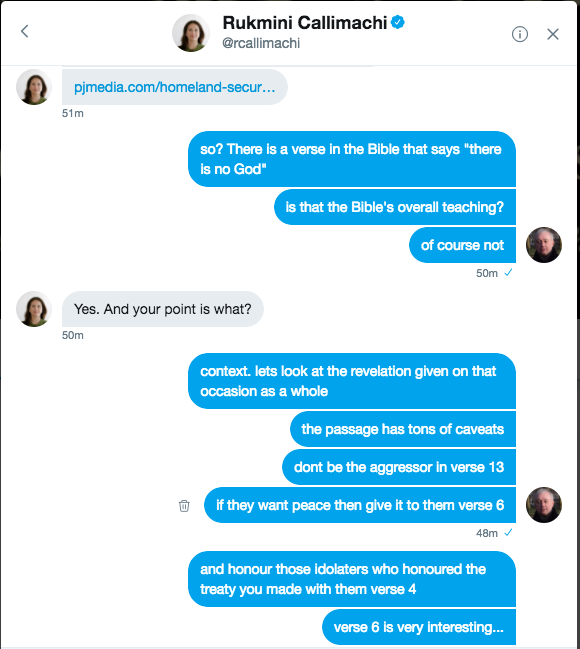 Wow, does she think anyone has the credentials to interpret the verses according to his whims and anyone who wishes to do so is plainly free? Okay, so if a Muslim instead of praying facing the House of God, he instead prayed towards Masjid al-Haram and would cite 2:144 (without realizing that this command was abrogated in that same surah), would his interpretation be binding and “valid” despite his ignorance? 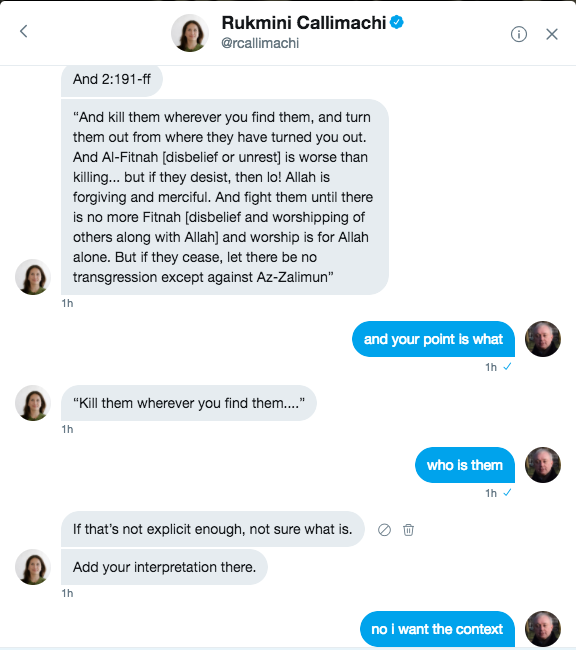 As Jonathan Brown once joked about, if such persons think the Qurʾān justifies their actions then you could “give them a Chinese fortune cookie and they’d murder somebody”, because that’s how ignorant one must be to make such claims. This is all in context of wars with non-Muslims. 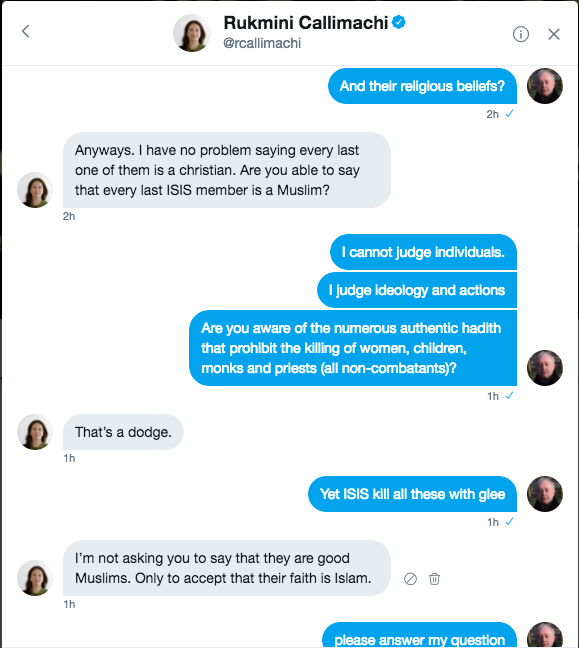 So she’s just making it up, no Muslim scholar EVER made such claim, not even ISIS themselves made such claim. Wow, does she realize that we literally have the statements of the Messenger of God himself on not killing civilians? This Rukmini Callimachi seems a perfect example for the latter. 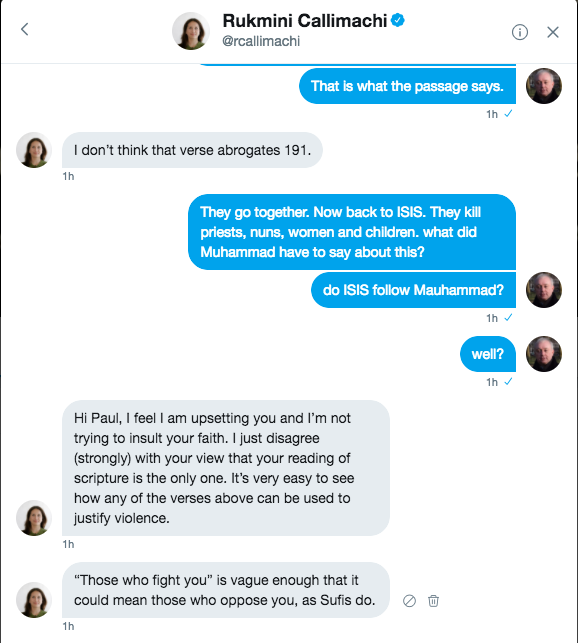 I hope this can answer her questions about “violent” verses . It is very handy and necessary also intellectual & factual way to deal with Islamophobes . Thank you so much for showing us her true intentions behind the scenes. 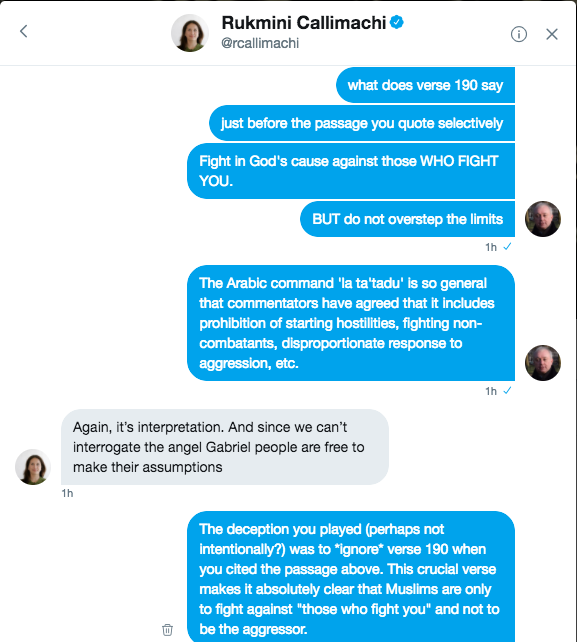 Note also that she’s also implicitly rejecting all of the core values of Islam when making those claims, such as mercy, righteousness, justice, …etc. More like a back and forth discussion with you once again being a disingenuous little creep, Bilal. You talk absolute crap and you know you do. Samaritan, I find it worth mentioning that you are a guest on a Muslim blog where you are given considerable freedom to attack Islam and Muslims. I know of no comparable Christian blog where Muslims are free to criticise Christianity in the manner you do. I also find it worth mentioning that this is Muslim blog of which 90% of the content churned out is dedicated to attacking the Bible and Christians in general. Are you really going to piss and moan like hypocrite that a few Christians are dishing it back? Actually my criticisms of Christianity are not abusive and insulting. They are intellectually serious. You on the other hand just dish out in abuse in spades. All the difference in the world. Bad Sammie, you are a moron. Everyone knows that already. This blog is about dishing out the facts about Islam as well as your religion, which I might add, has been debunked many times. So when some one makes inaccurate statements about Islam, you can bet that Muslims will respond to those accusations. Of course, if inaccurate statements were made about Christianity, one would expect Christians to respond. But there is a difference in making intellectually sound statements based on evidence (which brother Paul makes) and making idiotic statements based on cut and paste Google searches, which you seem to be an expert at. Ok potato show us where exactly Br Paul is ‘being a disingenuous little creep’. It is hard for people to admit they are wrong. But inshallah, you planted a seed within her that will sprout later. May God remove her misunderstandings and biases and guide her to be fair in her reporting and to not slander the religion of 1.5 billion people. May He guide her about the truth of the Qur’an and Islam. All I can say is God Bless you. May be she will appreciate the lessons you taught her when writing her future articles. 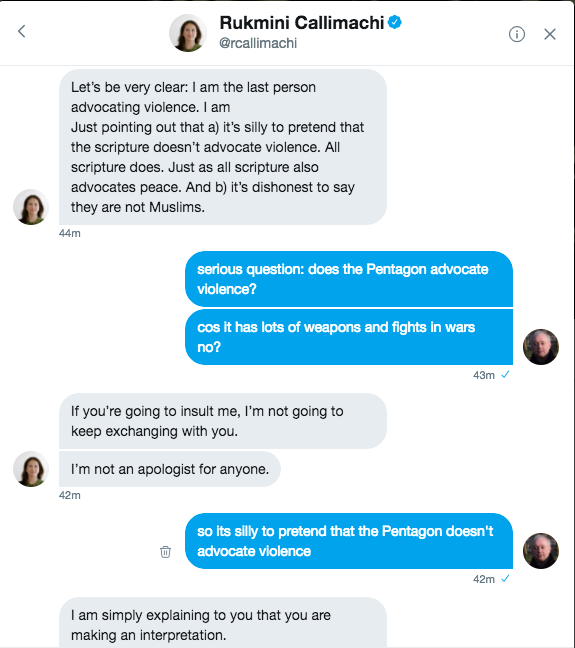 She got annoyed when you asked whether Pentagon promotes violence because they have a lot of weapons, and fight wars. That was good. I enjoyed your conversation. She learnt a lot. It is a good conversation. 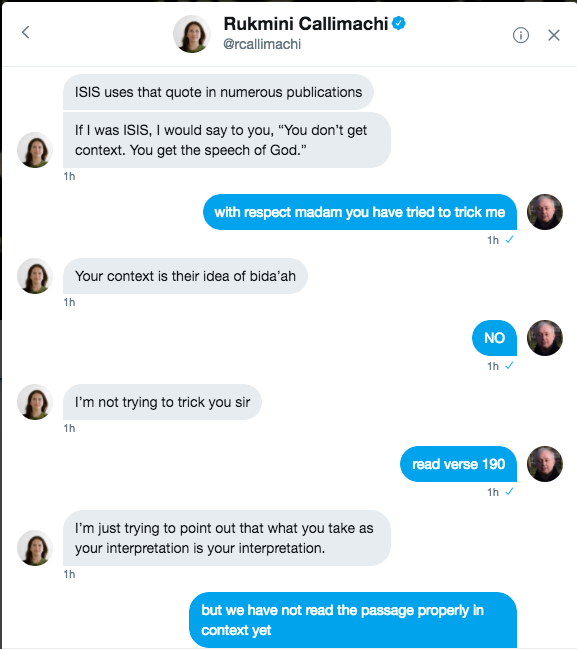 I think Rukmini Callimachi knows how ISIS was formed out of the former Iraqi Baathist military officers. She knows how the Baathists were secular and how they were against any Islamists. She should reflect on how many bombs were dropped on the heads of Iraqis since 1991 and the cruel sanctions and the dismantling of the state police, etc. It’s not surprising that violent extremists known as ISIS were born out of that 20 years of hell. I wish ISIS was not created and I am happy how they have been defeated. However, if such hell was unleashed on any country, ignorant and violent gangs would be empowered. 18, 19, 20 year olds. So secular Baathists wanting to take revenge for the country they lost + young Iraqis who have only seen bombs fall on them since they were born. And she thinks that their approach or agenda is equal to Muslim scholars? And then she keeps peddling this dangerously misleading information to millions of readers in her articles. I have faith in people. I agree with Intellect. May God guide her. She should reflect on this very explicit verse of God Almighty. expel you from your homes – from being righteous toward them and acting justly toward them. I pray that she learned from that exchange and I hope she engages more with real Muslim intellectuals who are scholars of the Qur’an. I hope she reads the works of Professor Muhammad Abdel Haleem. Male children may be killed, as long as they have pubic hair. Hypocritical nonsense to claim the moral high ground. WTF? And your Jesus ordered the slaughter of children and babies in 1 Samuel 15. People in glass houses.. Male children can be killed, regardless of age. Female children can be taken as slaves. Kill the elderly. Kill all men and women. Kill all animals. Hmmm. now where is that from? 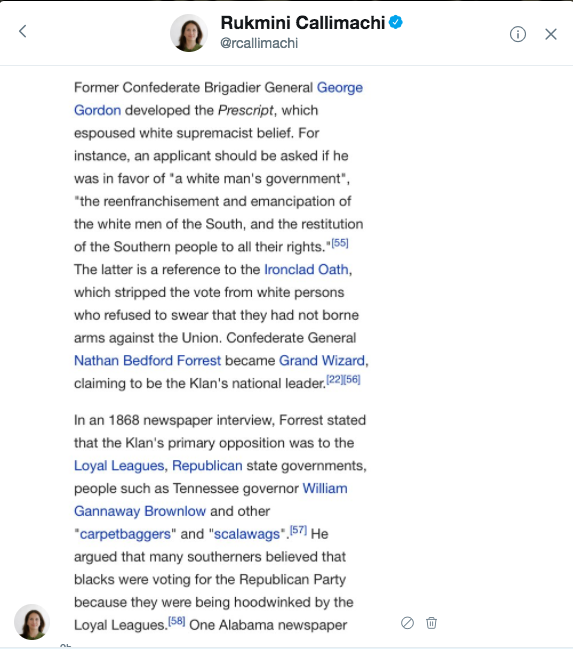 Ignoramus…tsk, tsk, tsk. Once an idiot, always an idiot.